Thailand player Nutcharat Wongharuthai has done it again. 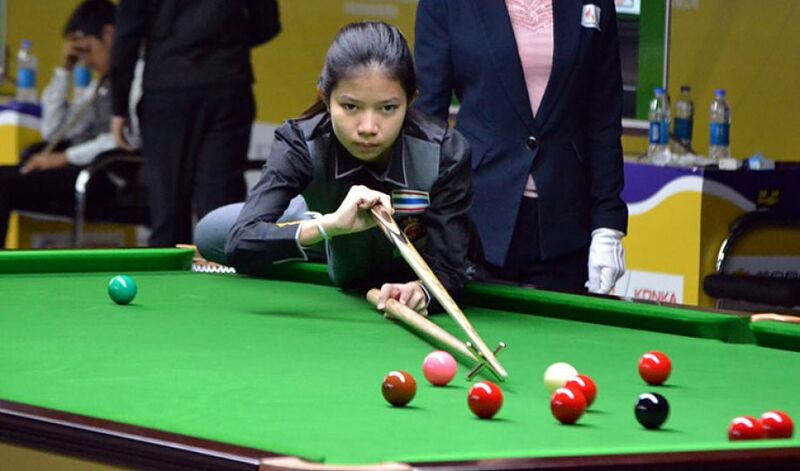 This is the third time in a row that she has lifted the World Under-21 Women Snooker title. In today’s final she defeated Chinese girl Yulu Bai 4-2. It was sea-saw battle initially where both made decent breaks to counter each other. Compliments to Yulu Bai who scored a break of 65 in third frame by potting 8 red-black combination in a row. That must be an alarming situation for Nutcharat and she curtailed her in all corners and won next three frames to claim the title third time.